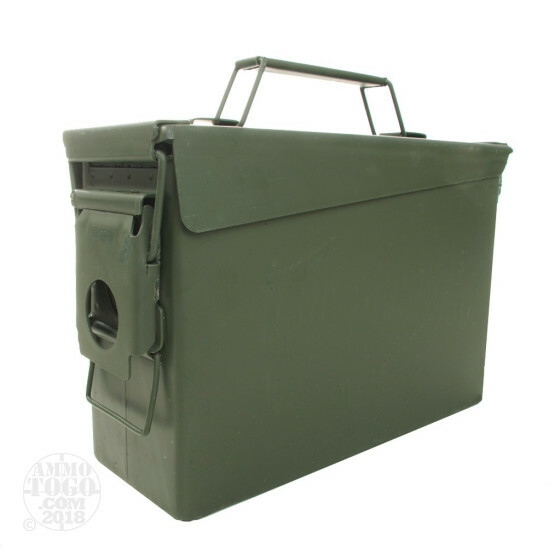 These new production 30 Cal ammo cans are a great option to keep your ammunition dry and corrosion free. 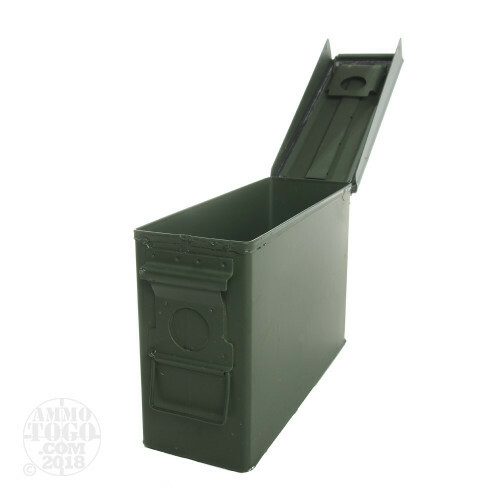 These M19 OD green Mil-Spec cans will easily hold 500 rounds of .223/5.56 NATO in boxes, or 1,100 loose rounds of 9mm, or 2,500 loose rounds of .22LR. Perfect for long-term storage in your safe at home. We tested these cans to ensure they were actually water tight and after 48 hours of total submersion the interior was perfectly dry. We also drop tested these cans from 20 feet and drove over them with a pick-up truck. These are rugged cans that will help keep your stock pile safe. Remember, always keep your ammo cool and dry - these cans are the first step in making sure your rounds will be ready to fire when you need them. Nice cans and good for the money. Do exactly what they need to do.